A Mother’s Reckoning by Sue Klebold, reviewed. 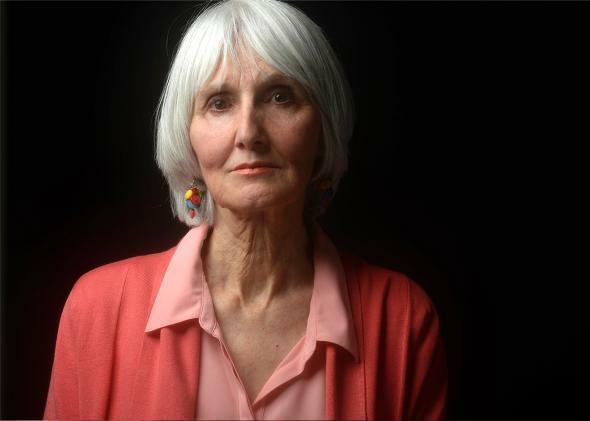 Sue Klebold, mother of Columbine shooter Dylan Klebold, poses for a portrait on Feb. 23, 2016. There is a particular sort of tightrope the author of a book about a mass killing has to walk in order to sufficiently humanize the killers without excusing them—especially if that author happens to be the mother of the mass murderer, as is the case with A Mother’s Reckoning by Sue Klebold. Her son Dylan Klebold killed himself after he and his classmate Eric Harris carried out the 1999 attack on Columbine High School in which 12 students and one teacher died and more than 20 others were wounded. The tightrope Sue Klebold is walking here is evident from out the outset. In the book’s introduction, written by one of the world’s most accomplished authorities on the subject, Andrew Solomon—who authored Far From the Tree, a book about extreme relationships between parents and children, and also profiled Newtown shooter Adam Lanza’s father for the New Yorker—writes: “The ultimate message of this book is terrifying: you may not know your own children, and worse yet, your children may be unknowable to you. The stranger you fear may be your own son or daughter.” Thus he establishes the narrative minefield Klebold will have to navigate: delving into the psychology of her son without sympathizing with his actions, conveying the unique heartbreak of having your own flesh and blood turn into something you don’t even recognize. Because he was tall and academically gifted, Dylan entered school a year early and was quick to adapt. He seemed to be a happy child who dealt well with adversity. Klebold fondly recalls when her son, at age 10, insisted on going sightseeing with friends shortly after having a misplaced, deeply embedded tooth removed. She recalls that she and her husband were shocked after Dylan and his friend Eric Harris were arrested during their junior year for breaking into a van and stealing electronic equipment. But after Dylan successfully navigated through a counseling program offered as an alternative to jail time, his parents dismissed it as an out-of-character act. Three days before the shooting, Dylan was smiling in prom pictures with his date. And then, at 12:05 p.m. on April 20, 1999, Sue Klebold noticed that the red light on her office phone was blinking. Klebold only realized after the attack that her son was suffering in silence from depression. And so her memoir picks up most of its emotional momentum in the wake of the shooting, when Klebold becomes obsessed with putting the pieces together and agonizes over missed clues. There was the story Dylan had written for class about a man dressed in black attacking some popular kids. It was enough to alarm a teacher, but the Klebolds never saw the essay since Dylan never showed it to them. The Klebolds also had no idea that their son smoked, drank, or thought obsessively of ending his own life. They also knew little of his co-conspirator, Eric Harris, who had been stockpiling weapons and whose diary entries revealed psychotic tendencies. Amid all the “what if”s, one looms particularly large in Klebold’s memory. The morning of April 20, upon hearing the quiet commotion of her son getting ready for school a little earlier than usual, she called out to him. She remembers: “Out of the blackness, his voice sharp and decisive, I heard my son yell, ‘Bye,’ and then the front door shut firmly behind him. He was gone before I could even turn on the hallway light. Unsettled by the exchange, I turned back to the bed and woke Tom. There had been an edge to Dylan’s voice in that single word I’d never heard before—a sneer, almost, as if he’d been caught in the middle of a fight with someone.” Even now, the moment replays like a loop her mind. What if she had stopped him? It’s a question the reader can’t escape, either. A Mother’s Reckoning spends some time trying to come up with a solution to the rash of mass shootings, mulling the disastrous failure of our gun legislation. But this book doesn’t make a particularly useful cautionary tale for the merits of gun control laws. Not only was the Klebold family fiercely against firearms to begin with, but Dylan acted outside of existing laws by illegally purchasing his firearms from his friends. It’s hard not to feel like Klebold’s arguments, no matter how compelling, are ultimately undermined by her own experience. She writes: “Because if anyone had peeked inside our lives before Columbine, I believe that what they would have seen, even with the tightest zoom lens, was thoroughly ordinary, no different from the lives unfolding in countless homes across the country.” This is the central tragedy of A Mother’s Reckoning: Klebold’s helplessness, despite her retroactive insistence that there were warning signs, the insistent sense that her son seemed so much like an average, troubled kid. And so A Mother’s Reckoning ultimately shines most as a vehicle for humanizing Klebold herself: as a compelling story about the perseverance of a mother trying to survive under some of the most unthinkable and extraordinary of circumstances, reminding us that both sides of any tragedy, no matter the scale and barbarity, are often more complicated than they seem. We are taken through several stages of her mourning, from the carefully crafted letters she sent to all the victims, to the paralyzing fears that her husband and oldest son Byron would follow Dylan and take their own lives too. A Mother’s Reckoning by Sue Klebold. Crown.